Acorn can be used to set or change your desktop picture. 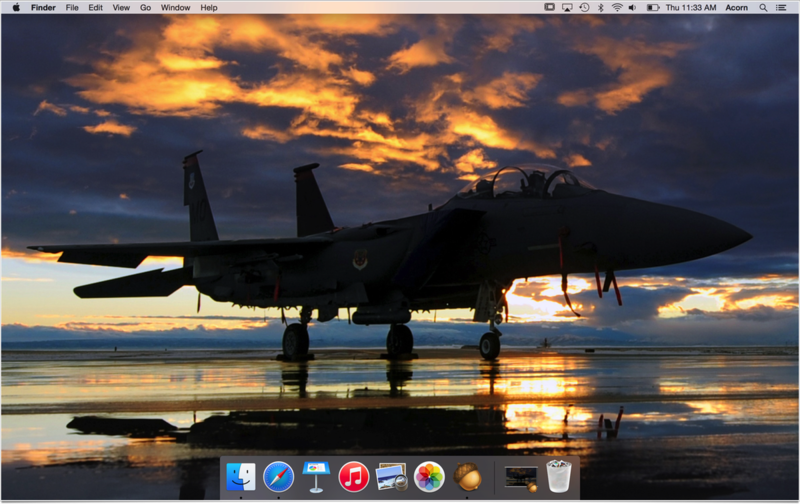 Play around and modify your images then immediately use them as your background! Depending on your image dimensions you may want to use the crop tool to first adjust the dimensions of the picture to your screen. Then right click on your image to bring up the canvas contextual menu. 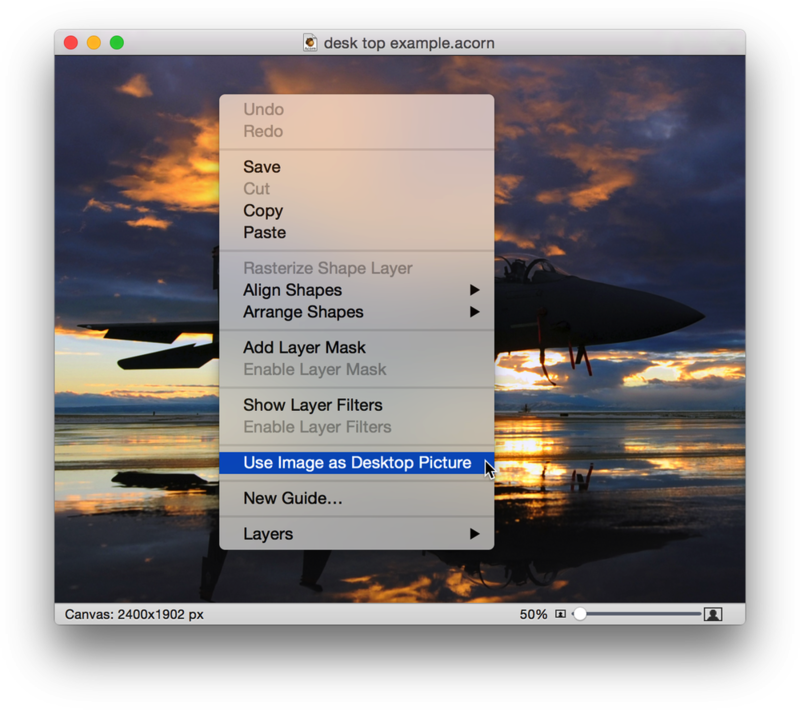 Click on "Use Image as Desktop Picture". Wait a few seconds, and voilà!